Stewartsville, MO…Darlene Dunlap, 80, passed away on January 26, 2017, at LaVerna Village in Savannah surrounded by her loved ones. Darlene was born on November 18, 1936, in Altamont, MO, to Carl McFee & Louese (Calhoon) McFee. Darlene grew up on a farm outside of Winston and graduated from Winston High School in 1954. After graduation she moved to Kansas City to work & lived in a girl’s rooming house. On July 1, 1960, Darlene married John Dunlap in Smithville. With this union she gained two step-sons, Johnny & Kenny Dunlap. While in Smithville their son Michael was born. John’s teaching and administrative jobs led them to Jamesport where son Patrick arrived and then to Oregon where Pamela completed the family before they moved to Stewartsville in 1974. Darlene stayed at home with her children until they went to school. Then she began a 17 year career at Cameron Mutual Insurance where she retired as an underwriter in 1994. She was an active member of the Stewartsville Chapter #175 Order of the Eastern Star until its closing in 2015. She remained a joint member of Pearl Chapter #529 and Sunlight Chapter #247 until her death. She served many offices in her local chapter including Worthy Matron. She was also served as District Deputy Grand Matron for the 10th District & Grand Representative of Idaho in Missouri. 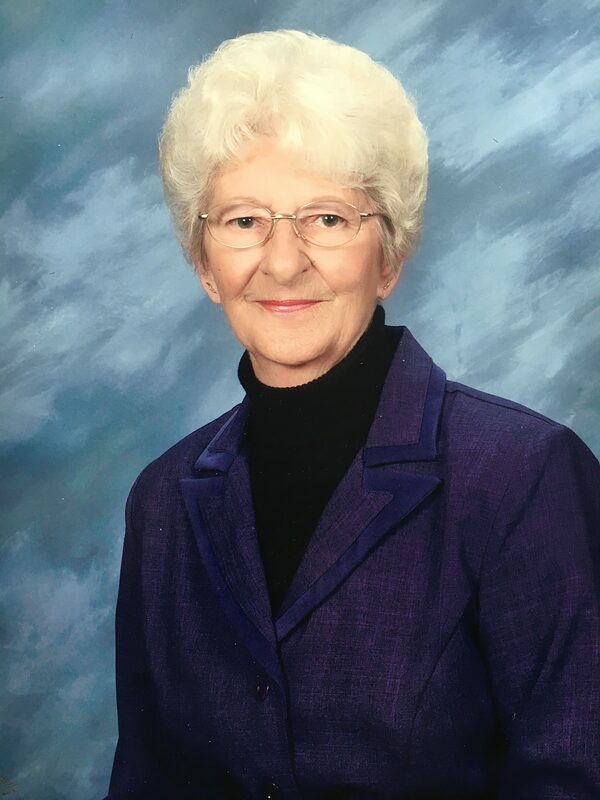 She was a member of Culbertson Chapel United Methodist Church in Stewartsville. Darlene will be remembered by those who knew her as a classy lady, who was always dressed to the nines. She was very intelligent and took pride in her work. She was also a very loving, loyal and family oriented person. Darlene spent her last 17 months at LaVerna Village in Savannah due to her advanced Alzheimer’s disease. The family is very grateful for the loving care provided by the staff there, especially in the Special Care Unit. We also thank Hospice Partners for assisting in her peaceful passing. Darlene was preceded in death by her parents, husband; son, Michael and step great grandson, Darin Dunlap. Those left to cherish her memory are: her son Patrick (Anita), daughter Pamela (Darin) Johnson, step-sons John C. (Jerry Kinman), Kenneth (Wylene), grandchildren Dakota (Taylor), Avery Johnson, Emily, Matt (Stephanie), Missy (Greg) Blanton, Kendra (Chris) Consiglio and Cole (Erin), sister Patty Kier, step-brother Dan Bridgeman and 11 great grandchildren, including her namesake Kinsley Darlene, nieces, nephews and friends. Funeral services will be held at 1:00 p.m. on Monday, January 30, at Turner Family Funeral Home in Stewartsville, with burial at Winston cemetery. Visitation will be from 5:00 – 7:00 p.m. on Sunday at the funeral home. Memorial contributions can be made to Second Harvest Community Food Bank. I am so sorry for your loss. Thoughts and prayers to your family. She sounded like a remarkable woman, you are very lucky. Very sorry for your loss, Kendra. We are praying for your family. I still miss my grandmother . Uncle Tony, Aunt Helen, Helen, Phil & Mary. Ken, Wylene and Family, we were saddened to hear of your loss. May God bless and comfort you during this time. You will be in our prayers!